Studies suggest that smartphone users, on an average, check their phones 85 times a day. And that’s a shocking revelation. What do you think about it? It is true or a statement made just like that? I would like to support former and may be you all will agree with me. Well, this smartphone culture has made us so much addicted of our smartphones that we can’t imagine our lives without a phone. 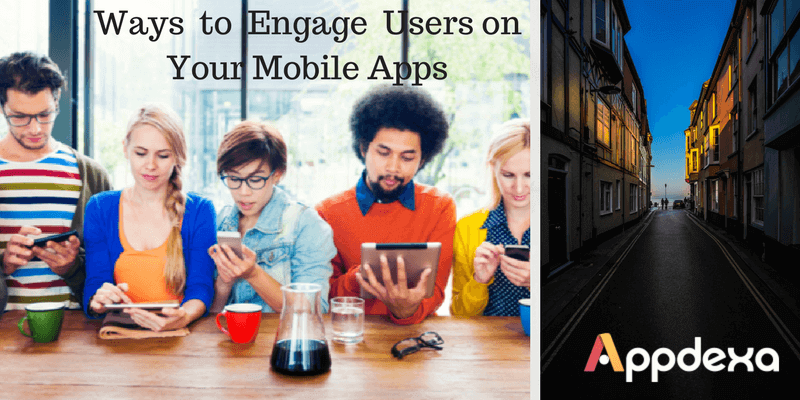 Apps are getting more user-oriented so that they could engage the users like never before. They are becoming more proactive in the approach of guiding the users. And, it feels really great when you as users are directed to accomplish the task. There are a number of other strategies that mobile app development companies are considering for engaging the users. Here is a brief discussion on the same. Yes, it is the most important parameter to let your app remain successful among the users. Users always crave for improved user experience. And, the apps that are successfully delivering the same able to retain the users for longer time period. For better user engagement, as example, an app that focuses on providing medical services could also inform user’s about the availability of medical professionals. The app can also guide them about the waiting hours (if patients have booked an appointment). Developing apps having extended potential of understanding a user’s need could be next big move for app development companies to engage more users in their applications. User’s always look for guided assistance. In case, an application is fulfilling their requirements, they are sure to get engaged in the same. It is the era of technology and an extended chance for app development companies to earn extended number of users. There is a huge possibility that they may succeed in engaging the users like never before. Such an approach can help developers be more active in their user-app engagement technique.